The Great Lakes is home to the largest freshwater dune system in the world, a vital economic and ecological resource for the region. One challenge impacting this habitat is the colonization of the highly invasive ornamental plant, Baby’s-breath (Gypsophila paniculata). Through a collaborative relationship between Grand Valley State University and The Nature Conservancy, quantitative assessments of manual removal and herbicide application to treat infested areas within Sleeping Bear Dunes National Park were used to develop an adaptive management model. Our work assessed how the type and timing of treatment impacted baby’s breath density. We found both one and two years of treatment resulted in a significant decrease in baby’s breath. Also, the timing of treatment had a significant impact on baby’s breath density the following year. This work can be used to prioritize timing of removal, helping to guide future management planning. Kaldis Grants is Coastal Restoration Coordinator with The Nature Conservancy’s Eastern Lake Michigan Project. Utilizing his knowledge of terrestrial invasive plant management, Kaldis coordinates restoration activities along 500 miles of Eastern Lake Michigan’s coastal ecosystems. He serves as preserve manager for three of The Nature Conservancy’s preserves in Michigan. 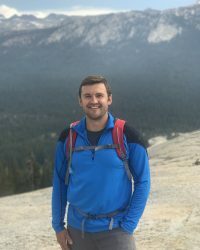 Kaldis graduated from Michigan State University earning a degree in Fisheries and Wildlife Management with a concentration in conservation biology. In his personal time he is an active member of the Latvian community, enjoys traveling, hiking, camping and various team sports. 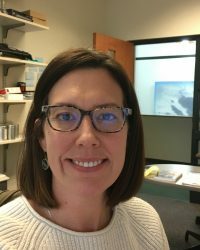 Charlyn Partridge is an Assistant Professor at Grand Valley State University – Annis Water Resources Institute. Her research focuses on understanding how ecological and genetic factors influence selection processes in natural populations. The advent of low-cost, high-throughput sequencing has opened the way for ecologists to participate in one of the most exciting periods for genomic research. With these advances, we can now examine the genetic mechanisms that influence how species respond to changing ecological conditions. Her work encompasses both field and laboratory work and employs a variety of behavioral, molecular, and genetic techniques to address questions related to: (1) invasive species management, (2) sexual selection and alternative mating strategies, (3) harmful algal blooms, and (4) adaptation to global climate change.